Zamza-Zah is a huge MA developed by the Earth Alliances. Its size is several times larger than Impulse Gundam and is one of the largest mobile weapons at the present. 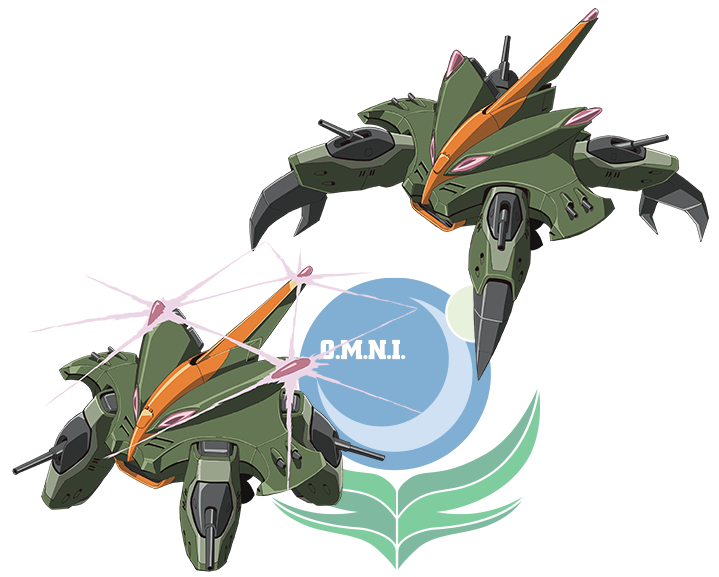 With its claws and the heavily arms weapons such as large beam cannon, it closes in on ZAFT with its overwhelming destructive power.